Blake Shelton is a good old country boy, living on a farm in Oklahoma, and likes to hunt, fish and ride tractors. Gwen is a California-raised girl who loves glitz and glamour. They both joke that they didn’t even know each other’s songs when they first started dating. That definitely sounds like someone who is rather assertive, extremely outgoing, and loves the limelight. 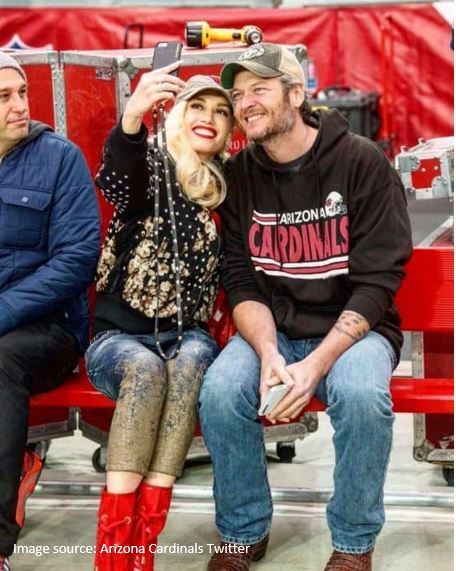 If you still need more proof, look at their dress styles in this photo that was posted on the Arizona Cardinals’ Twitter feed. Country meets glamour! Read more on our blog about DISC styles attracting despite being polar opposites.